A shark is not a fish. Transferring knowledge is easy; behavioural mimicry more tricky. [quack, quack] The medium is the message. Using behaviour to detect fraudsters and recognise customers. Detect and Prevent Fraud. Silently. In real-time. Quill reduces the cost of fraud for online businesses by distinguishing genuine customers from imposters with the help of AI and behavioural biometrics. Quill captures behavioural interactions between your customer and her device. That's a very formal way of saying we look to how your customers play with their phones while shopping on your site. After a short, and silent, enrolment phase we are able to transform these behaviours into a signature. And, now that Quill has learnt to recognise your customers, the service begins to produce real-time confidence score against your active shoppers for you to track and monitor as part of your fraud prevention strategy. We know that security only succeeds alongside convenience, and Quill is designed with simplicity at its core. Activate with just one line of code. Works with any existing architecture. Your end-users are unaware that the service is running. Get the benefits of our UK-wide network. Our machine learning algorithms continuously re-train, keeping up-to-date with your customers. Delivers intelligence on any webpage, not just login pages. Your customers operate in real-time, and so do we. "There's no way you can get that level of detail out of the application level" - we love hearing this pre-trial. 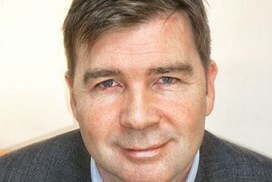 Donal has nearly twenty years’ experience in corporate and investment banking. From 2005 Donal was in Mizuho’s proprietary area, where he helped establish, build and run a business focused on longevity. Throughout his banking career, Donal fostered his love of data using it to design oblique data harvesting methods, which, when coupled with pattern-matching research, led to many non-typical strategies, extending from origination, to risk, active management & systems design. That dataphilia was the genesis of Circadian. Prior to Mizuho, Donal spent more than a decade at Citigroup. At the time of his leaving he was an MD and member of the Senior Management Team within its Capital Structuring group. Donal holds a master’s degree in Engineering, Economics & Management from Oxford University. Amongst other outside interests Donal also holds a directorship in a medical research company. Stefano has over 25 years’ experience in delivering systems having to deal with high volumes of data. He has implemented solutions for challenges faced by large companies in the mining, health, entertainment, oil, and financial industries. Stefano's main interests are mathematics, computer science, human behaviour, and languages. In his spare time Stef likes to keep himself entertained with machine learning and AI, cryptocurrencies, and trying to learn Japanese. 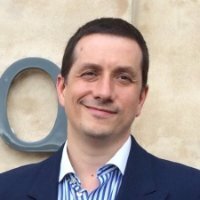 Stefano has a BSc in Computer Science and Mathematics, BSc (Hons) in Psychology, MSc in mathematics, and Certificate in Quantitative Finance (CQF). Keith has over 25 years of international experience in banking, accountancy and corporate finance. He started his career with one of the major accounting firms and subsequently held senior roles with Citigroup and Lloyds Banking Group up to 2013. Since then he has been engaged in a diverse range of consulting and directorship activities ranging across a broad spectrum of industries including public companies listed in NY, London and Dublin. Having successfully led businesses through periods of complexity, change and challenge, Keith's interests don't rest solely with large corporates. Keith's angel investing interests tend toward the technical & science-based spheres, and most notably include Ziylo, and NS Science. Ziylo was sold to Novo Nordisk in 2018 for a sum that could exceed $800 million. In the public sphere, for more than 10 years Keith was chairperson of a high profile Irish Government-sponsored financial services sector grouping encompassing multiple (private and public) stakeholders. Matt joined Mizuho International in May 2005 where he also helped establish, build and run the life settlements and longevity business. His role was primarily to design and build policy pricing models, help design the infrastructure that enabled life settlements to be booked and managed as a tradable security within the bank, and to actively manage the risks of the book. At its peak, that business managed well in excess of a billion dollars of risk. 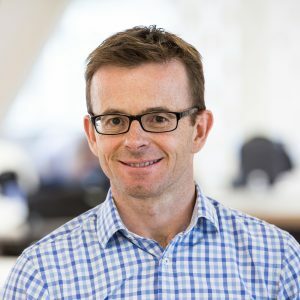 Prior to joining Mizuho, Matt worked at the Royal Bank of Scotland (formerly Natwest Markets / Greenwich Natwest) for over ten years, largely in Proprietary Credit Trading but also in Structured Solutions, Capital Structure Trading and Risk Management. He is FSA registered and has a degree in Business Information Technology from Kingston University. Cliff is a polyglot who enjoys implementing technology to solve difficult problems whether they are driven by data volume, complexity of processing and calculation, or user experience. Cliff has 22 years' experience in delivering systems in the banking environment, including Risk Management (Market Risk, Counterparty Credit Risk), Front Office (Trade Capture, Pricing, Risk), or IPV (Product Control). In his free time Cliff likes to play with Scala, Algo Trading (Predictive Signals), Python. 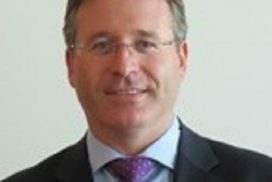 Barry is a corporate financier with over 20 years' international experience at Citigroup in London and Rabobank International. Starting life as a derivative lawyer at Citibank, Barry moved into the Corporate Finance arena first at Citibank, then as Head of Structured Finance at Rabobank in Ireland and finally as Head of a Financial Innovation Team of 15 professionals across 5 countries as European Head of Client Solutions at Rabobank. Providing new solutions based on a client-focused approach across complex legal, tax, accounting, regulatory and credit situations, Barry and his team executed notable transactions across most of Europe with corporate as well as financial clients. Barry is a Graduate of Law from Trinity College, Dublin and was admitted to the bar of England and Wales as well as the New York State Bar. 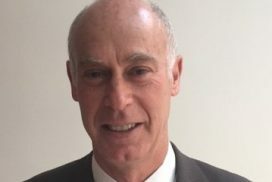 Sam worked in the City of London for almost thirty years and is the former Chief Executive Officer of Mizuho International plc, the securities arm of Mizuho Financial Group. More recently, he has dedicated much of his time towards assisting third sector organisations in becoming more effective in alleviating disadvantage through encouraging and implementing sustainable change in communities throughout England. 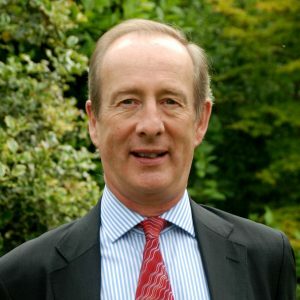 Currently, he is a Trustee Director of the Inspiration Trust MAT, a Trustee of the Kensington and Chelsea based Campden Charities, and a Trustee Director of The Power to Change. He has a wife and four children. 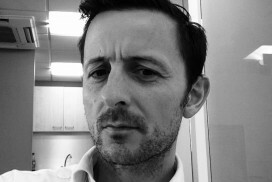 Aiden Flynn is a co-founder of Exploristics and has more than 18 years experience in drug discovery and clinical development. After seven years as a Lecturer at University College London, he spent ten years at GlaxoSmithKline as a Director of statistical support for biomarker studies across R&D. He was responsible for developing and implementing the Pharmacogenetics strategy that enabled the use of genetics data in clinical studies, involving the integration of new analysis tools and methods, bioinformatics, data standards, processes and training. In recent years, he has worked with Regulatory Authorities (e.g. FDA, EMEA) to develop tools and guidelines that support the use of biomarkers in clinical studies. Aiden has a PhD in Biophysics, MSc in Medical Physics and BSc in Applied Mathematics and Physics. He has more than 40 publications in peer reviewed journals and is an invited speaker at international conferences. These are some of the people we've been working, and building relationships with, over the last year. Invest NI is the regional business development agency, growing the local economy by supporting businesses to compete internationally, and by attracting new investment to Northern Ireland. CSIT was established as the UK’s national Innovation & Knowledge Centre for cyber security in 2009, and is based at Queen’s University Belfast’s ECIT Global Research Institute. CyLon is London's world-leading cyber security accelerator. Founded by leading security, investment and policy experts, CyLon offers unrivalled cyber security sector access and support. The Entrepreneurship Centre creates the space for thought leadership, experiential learning, and networking in academia, industry and government, using resources such as the Oxford Launchpad and the Oxford Seed Fund. If you would like to set up a free trial of Quill, please send us an email and we will be delighted to get you up and running in no time.